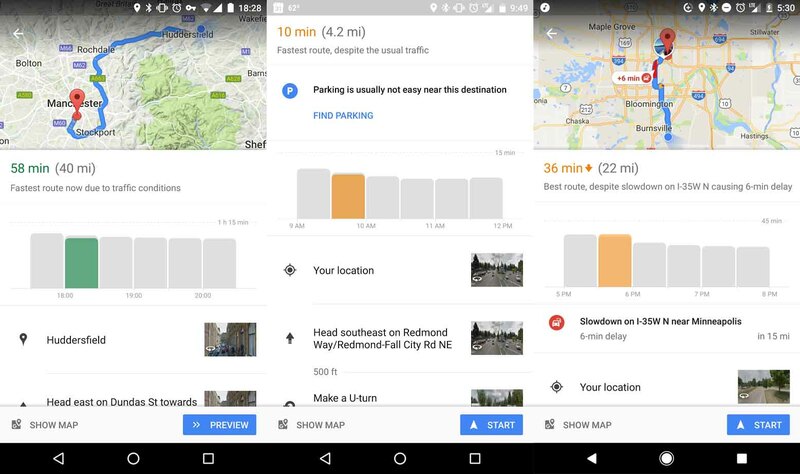 If you’ve ever been stuck in a traffic when you’ve needed to be somewhere then you’re going to love Google Maps’ new feature. Google is going to start including a travel graph that will show users how busy a certain road usually is and when the best time to travel is, if you want to avoid congestion. The graph will work a little bit like the feature that Google introduced to Maps last year that lets you see how busy certain places are. Bars, restaurants and museums have had this feature for a while now and Maps has also highlighted higher congestion on some roads for some time. The new feature will no doubt expand this functionality to tell the best time set off on a journey based on all of the other data available to the app. We’ll have to wait and see where this new service will be available but if it is coming to somewhere near you it could prove very useful indeed. Theoretically, this could allow you to delay the beginning of your journey and still save time on your overall commute. We’d love to know if you get to try out the new feature and if it makes your life on the road any easier.